Opportunities for automation across P2P are everywhere. 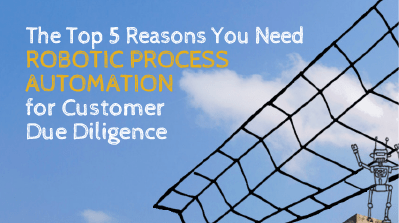 Learn how to select the right opportunities and get the most impact from robotic process automation. 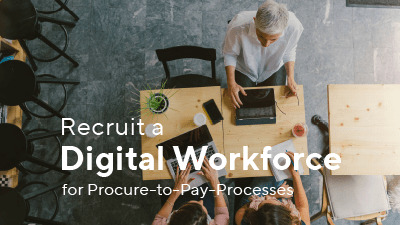 Sync up processes within SAP to speed up and simplify slow, labor-intensive tasks across procure-to-pay. Learn where you can use automation to get your P2P gears moving to capture discounts and improve visibility. Held back by myths, many purchase-to-pay (P2P) organizations are missing out on the efficiencies that supplier portals can provide. 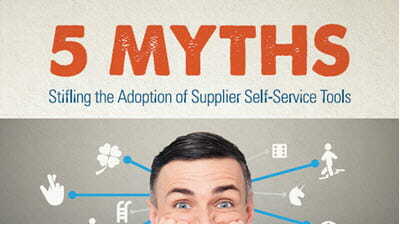 View this infographic for success tips to overcome these myths and get ahead with supplier self-service tools. The recipe for success in wealth banking is simple: deliver the perfect mix of innovative products and high-quality, differentiating customer experience. If you can achieve that, you will capture a greater share of new customers and retain your current client base. Are you struggling to acquire and integrate the web data you need? Here's the top 3 ways robots can collect and integrate web data for you. Learn how banks today are leveraging mobile for customer onboarding. Banks must comply with stringent Know Your Customer (KYC), Anti-Money Laundering (AML) and Customer Due Diligence (CDD) requirements before opening a new account or approving a loan. This infographic provides five compelling reasons why RPA solves banks' compliance challenges. 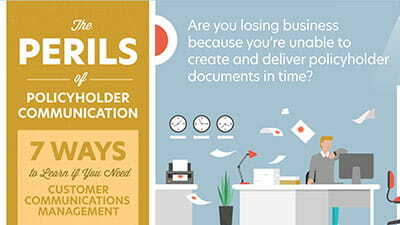 Does your insurance organization seem like it's spinning out of control with manual tasks? 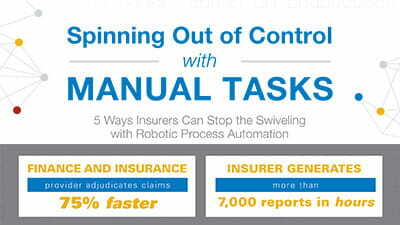 Download this infographic and learn the 5 ways insurers can stop the swiveling with RPA. Your first interactions with potential customers set the stage for the entire business relationship - and you have one chance to get it right. These seven questions will help you understand where your organization currently stands in terms of personal, automated policyholder communications.